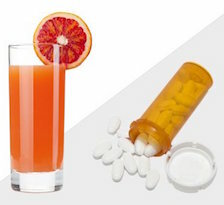 Grapefruit and Drugs Don’t Mix? U.S. Lost 1500 Migrant Children? This entry was posted in The Reality Check Episodes and tagged einstein, grapefruit, immigration, mailbag. Bookmark the permalink. One Response to TRC #501: Mail Bag + Einstein Rejection Letter + Grapefruit and Drugs Don’t Mix? + U.S. Lost 1500 Migrant Children? I just wanted to add to your report on the separation of immigrant children. While I totally agree what is happening to them is horrible, you did not mention that all these people have crossed the border illegally. They have bi-passed the line to take a chance on not being caught. I am a new listener and I have enjoyed your program so far. Thanks for listening.